Charlie Jayne, Kelsey Thatcher, Maura Thatcher, Alex Jayne and Maggie Jayne honored Athena during her retirement ceremony at Showplace Productions' Spring Spectacular III. 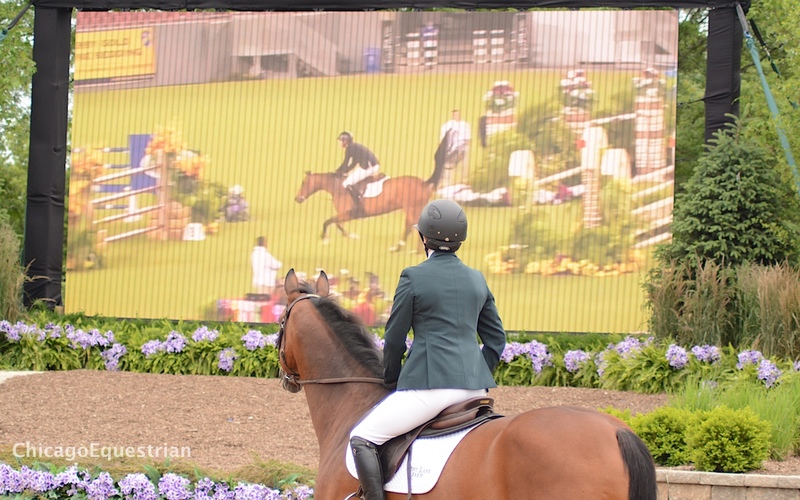 Photo:Elizabeth Stein/Chicago Equestrian. Wayne, IL – June 27, 2015 – After coming to a mutual agreement, The Thatchers of Pony Lane Farm and The Jaynes of Our day Farm have decided to retire the little but mighty mare, Athena, from the show ring. After years of success in jumper rings around the world, they will give the mare a well-deserved retirement on Pony Lane Farm’s, Riverton, Utah property where she will join other Pony Lane Champions and broodmares such as the jumper Carlotta and famous hunter, Francesa. Showplace Productions hosted a retirement ceremony for the famous mare during the Spring Spectacular Horse Show at Lamplight Equestrian Center, where she was a hometown favorite. 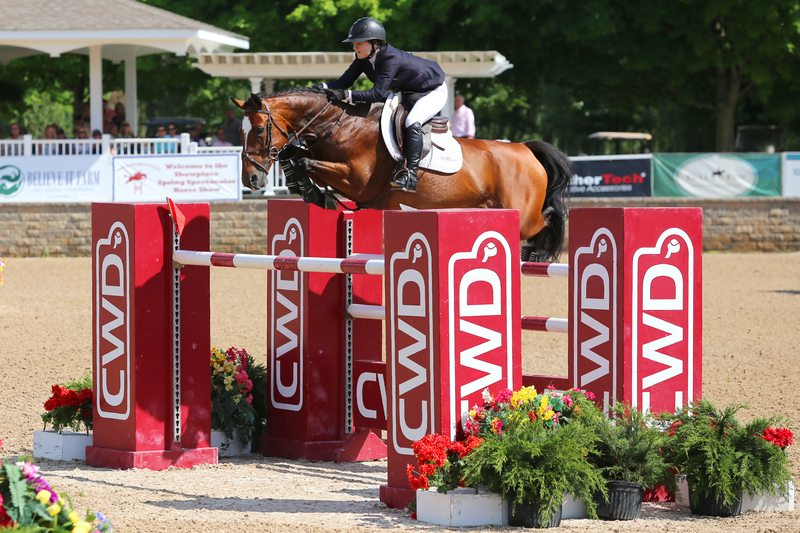 Earlier in the three-week series, Thatcher clinched the win in the $10,000 High Junior/Amateur Classic, adding yet another win to their long list of accomplishments and with the mighty mare topping off her career and exiting as the true winner she is. Kelsey Thatcher and Athena ended their showing partnership after winning the $10,000 High Junior Amateur Classic at Spring Spectacular. Photo:Elizabeth Stein/ChicagoEquestrian. Standing at only 15.1 hands, Athena has always stuck out among her competitors. She may appear small, but she has made her mark all over the world with Charlie Jayne and Kelsey Thatcher aboard. Her impeccable form over fences is hard to miss, as she is often seen jumping with her knees up to her nose. Kelsey laughed at the extreme difference in height between her and Charlie and how much it shows on Athena. 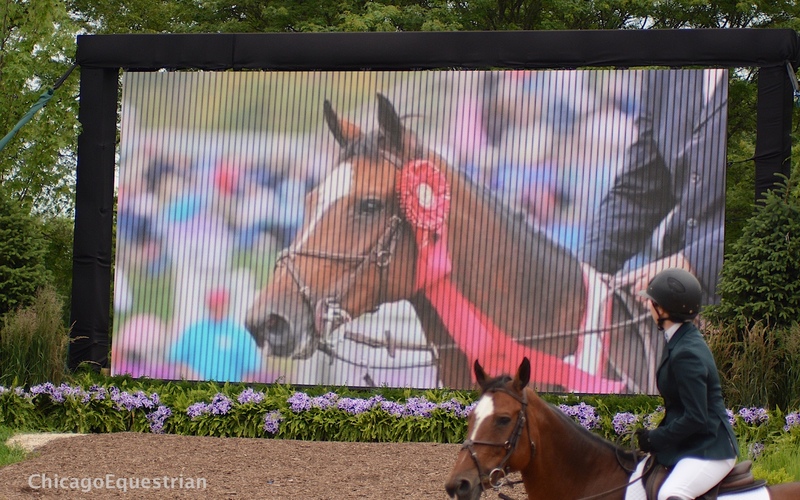 When asked about her favorite accomplishments with the mare, Thatcher reflects on the time she was the only clear round at the Pennsylvania National Horse Show in the Amateur Owner Jumpers back in 2013. 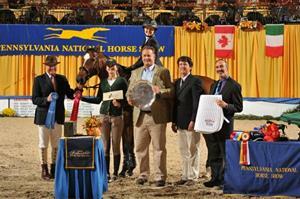 Thatcher was named Show Jumping Hall of Fame Rider of the Month in October of 2013 and was Leading Amateur Owner Jumper Rider that same year at the Pennsylvania National. “It was phenomenal. We were about eight seconds under the time allowed. It was just the cherry on top of a great weekend.” Thatcher reflected. 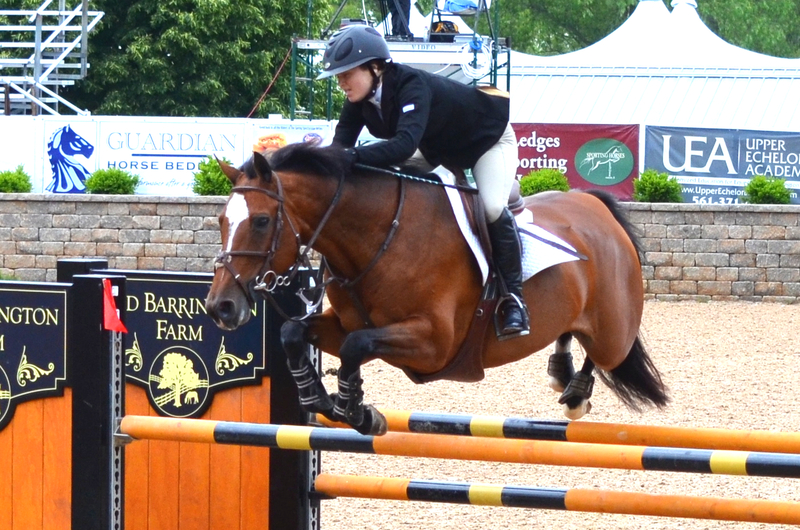 Thatcher and Athena winning the Grand Prix at Spring Spectacular in 2014. Photo by Kendall Bierer/Phelpssports. Another one of her favorite accomplishments was when Athena won three of the five classes she was entered in at the 2014 Spring Spectacular Horse Show, including two Grand Prixs and the High AO classic. Also in 2014, the pair qualified for a night class at the Wellington Equestrian Festival in Wellington, Florida, one of Thatcher’s firsts. Not only was Thatcher successful with her in the past few years, Charlie Jayne had extraordinary success at major horse shows around the country and in the international ring with the amazing mare. 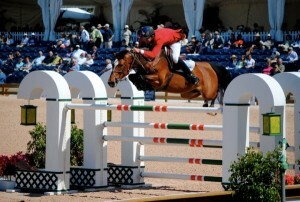 Their impressive resume includes, Olympic contention in 2012, when Charlie was the reserve rider on the US. Team for the London Olympics, a second place finish in the Pfizer Million Dollar Prix in 2010, a second place finish in the CSIO 5* Dublin horse show in 2009, impressive finishes in Europe in 2011 including Rome and La Baule, and consistent ribbons in classes at Spruce Meadows, including a 1st place finish in the $31,000 Westjet Cup in 2011, and multiple wins at The Wellington Equestrian Festival throughout the years. 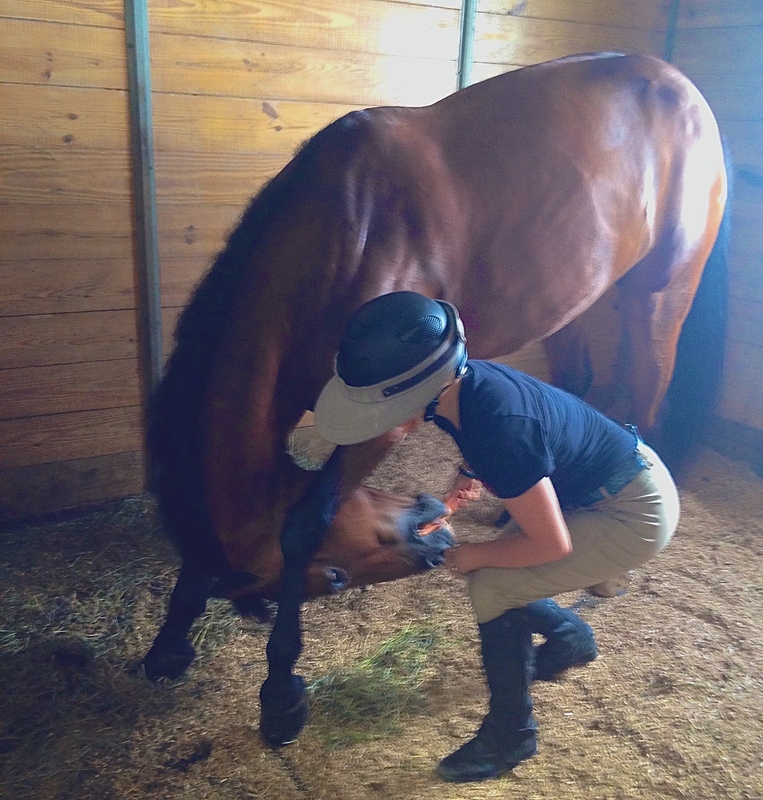 Not only is Athena an extraordinary competitor in the ring, she is an affectionate horse behind the scenes. “She’s always happy to see you. She’s very personable. And very flexible,” Thatcher joked. Pictured below is Athena bowing down in impressive form for a treat. There is also no lack of personality from the outstanding mare. She has also been known to jump into the paddock from a standstill if she was not being let in fast enough. She shares her paddock with other horses whom she loves but when Alex Jayne brought a camel onto the property, she was not very pleased. She actually threw such a tantrum that the camel had to be returned. A remarkable horse overall, Athena’s retirement is well deserved. High hopes and expectations are being held for future offspring as well. When asked about plans for her breeding, Thatcher explained that nothing is set in stone but that they do have plans to breed her in the near future. So although it is time for her phenomenal career to end, her Olympic heart will live on in jumper rings around the world through her future heirs. Her athleticism and enthusiasm will surely be missed by her fans who will not be surprised when her youngsters get to the top of the leader board as well. Thank you Kelsey Thatcher, Pony Lane Farm and Our Day Farm for sharing your special moment with her Chicago fans.